Jackson County was founded in 1814 and was formed from Washington and Jefferson counties. It was the 14th county to be formed in Indiana. Brownstown is the county seat. Jackson County is divided into 12 Townships; Brownstown, Carr, Driftwood, Grassy Fork, Hamilton, Jackson, Owen, Pershing, Redding, Salt Creek, Vernon and Washington. It covers an area of 514 square miles. In 2010, the population was 42,376. If you would like to adopt a county, please go to the "Becoming a Volunteer" page. Surrounding counties are; Bartholomew by Sheri Bush, Brown by Sarah Clevenger, Jennings by Sheila L. Kell, Lawrence by Treva E. Peckham & Chuck Carey, Monroe by James D. VanDerMark, Scott is Adoptable and Washington by Dee Pavey. The facebook group is a good way to get information on the site or add your own wishes. It can act like a guestbook. Think about joining. If you find something you need for your research, remember to: right click > save image as. Things do disappear online, as you know. Remember, always cite your sources! 4 bibles now online! Just uploaded the Hilliard Bible! 1850 census transcribed by Carol Stultz is onling. Also 1870 Mortality Schedule Census is online, with the images as well as transcript. Submitted families. You can submit yours. Were submitted by Sandi Shockley. If you would like to add to this area, just email me! Bridges, People, Places and Reno Brothers Graves. 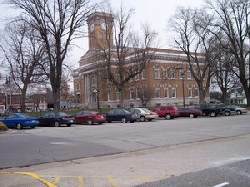 National Register of Historic Places in Jackson Co. Historic Bridges of Jackson Co. Thank you for visiting the Jackson County INGenWeb site. It is my mission to provide helpful information about the people and history of Jackson County. The information on this site may be copied for use in personal family records, with source citation. The pages in entirety may not be duplicated for publication in any fashion. All persons contributing material for posting on these pages does so in recognizing their free, non-commercial distribution, and is responsible to assure that no copyright is violated by their submission. -former CC of Jackson County.